Supplied with mixer valve, flexible hose, moveable spout,. Hot and cold water mixer with check valve. Hot and cold water mixer with manual control is locked by a small grub screw once set. 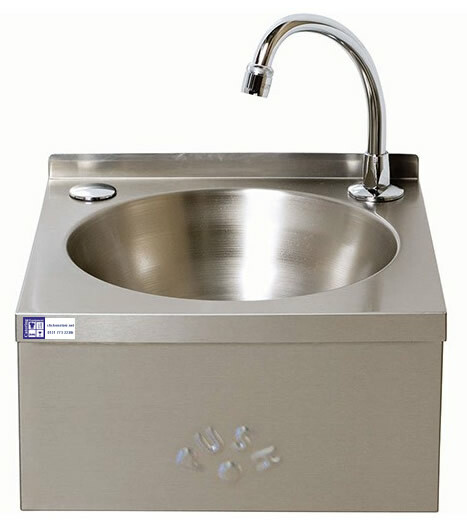 Hands-free tap operation allows hands to be washed without touching the sink surface or fittings for professional hygiene standards.